The Singing Chef from Down Under entertained the PCEC at their meeting on Sunday, January 1, 2017, with several songs. 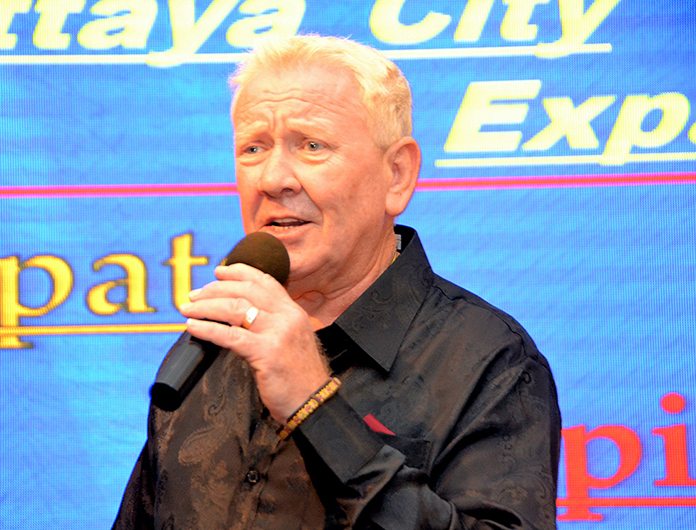 Also, known as Ronald (Ron) Smith, he told his audience between songs a bit about himself and how he became known as the “Singing Chef from Down Under.” Obviously, the Down Under refers to his home country of Australia. Ron opened the show with the song, “Born Free,” followed by “I’ve Got to Be Me.” Ron said he inherited his singing voice from his father, who sang with a concert group into his 80s. He learned the art of cooking as a young boy, having grown up on a farm with five siblings, and being tasked with making dinner for his family every night. This art was further enhanced during his career with the Australian Royal Navy, which he joined when he was 15 years old. In 1976, Ron worked as a chef on a warship for nine months. For two weeks, he served as a chef for Thailand’s then Crown Prince Maha Vajiralongkorn, now Thailand’s King Rama X. He said the prince suggested that one day he must come to Thailand and look around the country. 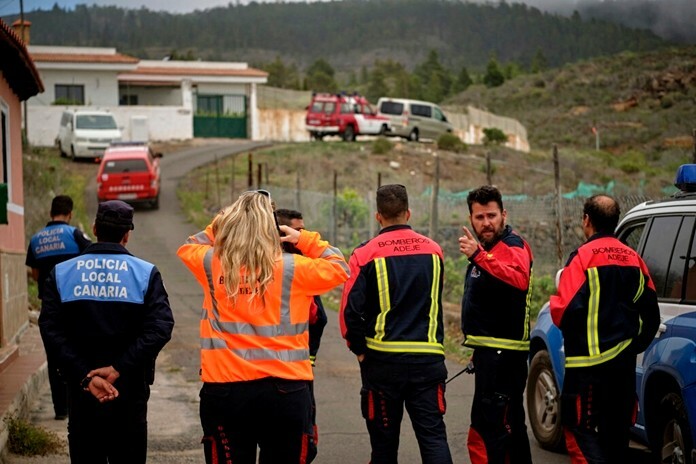 After nine years in the Navy, he suffered some serious injuries that required more than 60 surgeries “to put me back together.” The Navy said he couldn’t go to sea after that because he was too much of a risk, but he could be an instructor. He wasn’t too keen on that idea and was considering other prospects that would keep him at sea. He explained that one day he was cooking at a dinner for the US Secretary of State, and the next day he got a call from the owner of a luxury yacht who wanted to hire him as a personal chef. That started his career as the Australian Singing Chef. 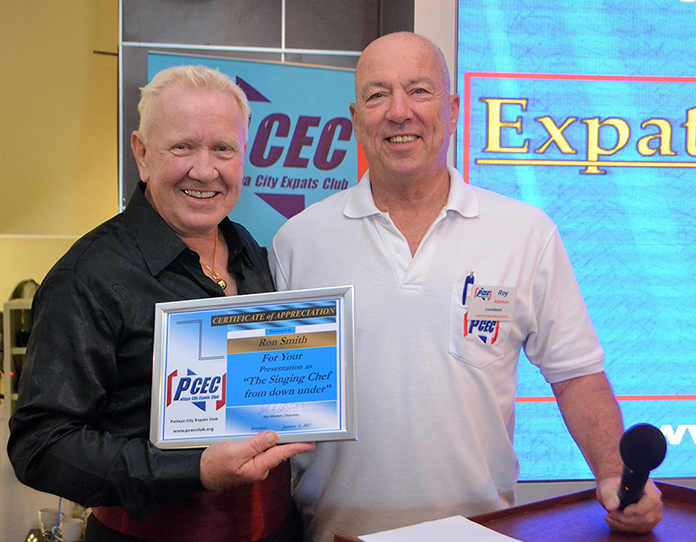 MC Roy Albiston gives the PCEC’s Certificate of Appreciation to Ron Smith for providing some excellent New Year’s Day entertainment with his songs and stories. In 1977, Ron was selected as chef for the Royal Yacht Britannia as the ship visited all the Australian ports. In addition to preparing meals, he was often called upon to entertain those aboard with his singing. Ron’s next song was “Over the Rainbow.” He said it brings back memories of the day when he was on a yacht sailing the St. Lawrence Seaway, and a triple rainbow appeared while the song by Judy Garland was being played. According to Ron, a chef’s uniform is always welcome in marinas. He said it was common to go from one luxury yacht to another, visiting with the other chefs and sometimes owners. One day during such a visit, a person came aboard with a greeting to him as well as others of the crew. He was bit shocked when he thought he recognized the person, later to be confirmed when he looked at the name of the yacht, which was “My Way Again.” He had been greeted by no other than Frank Sinatra! Noting that “My Way” was one of his father’s favorite songs, he sang his rendition for his PCEC audience. PCEC Member Ren Lexander joins Ron Smith after his show for the PCEC to chat and wish everyone a Happy New Year. To view the video, visit https://www.youtube.com/watch?v=Yp2FHrtHv54. 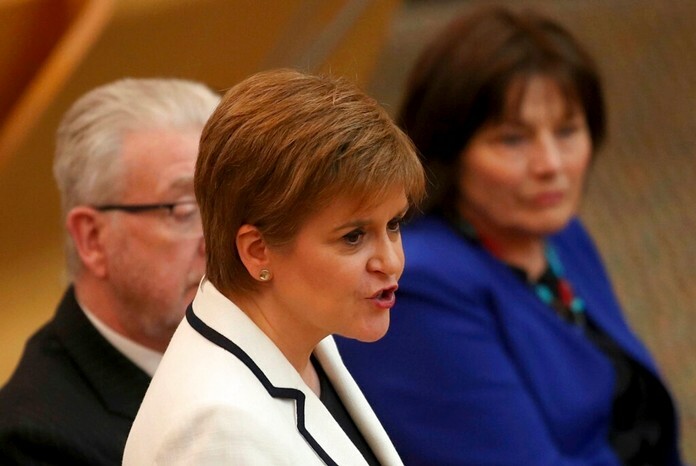 Ron said his proudest moment was in 1983 singing the Australian National Anthem in Newport, Rhode Island, USA, where Australian Alan Bond won the Americas Cup Yacht Race; he also sang at Bond’s victory dinner. Ron stated being a chef and a singer has been a great life, but it’s also very hard being on call for both duties. Some people are nice, some not so much. He related several experiences, one of which was he got to live in John Wayne’s house in Newport, California for a while after the actor died, because his boss at the time owned the house. Another time, one New Year’s Eve, at a port in Florida, everyone was having a great time until the owners of the yacht, a husband and wife, got in a big fight. She threw all her jewelry – worth hundreds of thousands of dollars – overboard, and he started shooting in the air. 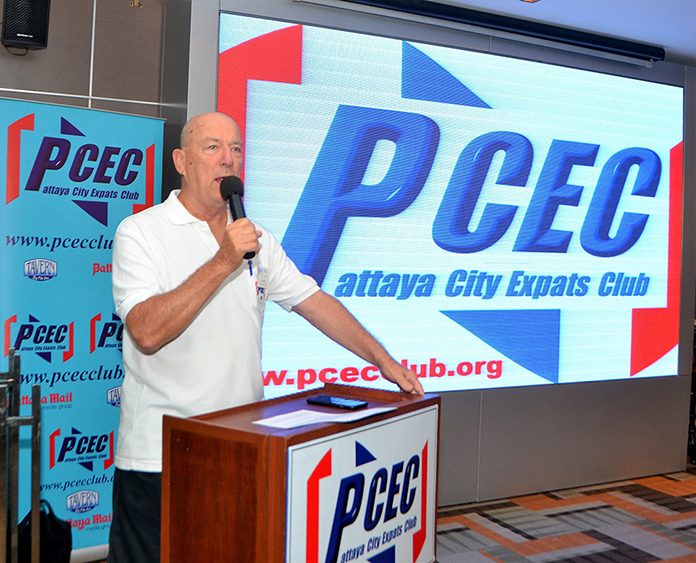 With a “Happy New Year, Sawadee Pii Mai,” MC Roy Albiston greets members and guests for this regular Sunday PCEC meeting being held on New Year’s Day. Because of his health issues, doctors have told Ron that the weather in Thailand would be good for him because of all the titanium that has been used “to put me back together.” So currently somewhat after he was invited to visit, he is here in Thailand for at least six months to enjoy the weather and the country. 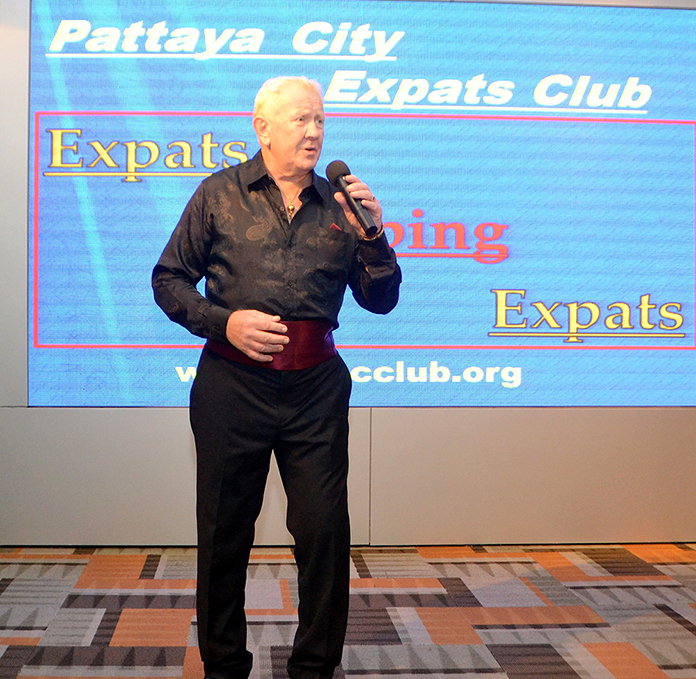 After Ron’s excellent entertainment, MC Roy Albiston brought everyone up to date on upcoming events and was followed by the Open Forum portion of the meeting where questions are asked and answered about Expat living in Thailand, especially Pattaya.